My latest Smoking Jacket column is now online at Part-Time Audiophile, which you can read here. This one is about the little firecrackers, really bold cigars that also happen to be, well, tiny. Enjoy! My Australia trip is ON. I'll be in Sydney from August 21 to September 6 to visit with my good friends Brad Serhan and David Allen and consult with them and their design team on Brigadiers Audio Group, their new premium brand of loudspeakers. As I've said many times before, I've been evaluating BAG's new Compact 2-way loudspeaker as part of my "search for the perfect two-way." (Or, as SpJ's Judy Spotheim-Koreneeff replied on my Facebook page, "No such thing, and no such creation." I know, which is why I'm searching--halfway around the world. While there I'll also be visiting the Cohibar at the Watershed Hotel to hopefully smoke some Cuban cigars with some Australian cigar aficionados, and I'm sure I'll probably squeeze out a Smoking Jacket column out of the experience. I hope to enjoy my first Cohiba Behike BHK 52 there--I've been told by a couple of friends that it's the finest cigar ever and I've been hoping to try one for at least a couple of years. Finally, I'll have a chance to hear BAG's latest creation, a floorstanding 2.5-way speaker tentatively referred to as the McQuade. Once we're happy with the finalized designs, I'm hoping that Colleen Cardas Imports will be the new US importer and distributor for BAG, and that we'll be able to show both the Compact and the McQuade at a trade show very soon! Do you remember back in the early to mid '80s, after Thriller had made that once in a lifetime splash on the charts, and suddenly there was a whole new breed of funk/r&b/pop that was edgy, quirky and dynamic? Remember that first album from Rockwell, and how good it actually was, and how everyone thought he'd knock the King of Pop off the top of the mountain? How about Terence Trent D'Arby, and how he was able to cast that darkness into the background of his songs and that made him sound like nobody else? Do you remember that's when The Purple One became huge and everyone was choosing sides between him and Mikey? Do you remember? I don't. Back then, I was listening to the Minutemen and X and Husker Du and the Meat Puppets and I just didn't get it. I didn't hate that type of music, I respected it, but it just wasn't my thing. In my old age, I've changed. 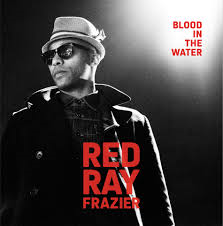 Where once I would have listened to a singer like Red Ray Frazier and said, "It's good, but not my deal," now I'm listening to his new EP, Blood in the Water, and I'm thinking "It's good, really good. I need this music in my life." Maybe Janelle Monae was the flashpoint for me, but I'm truly welcoming any music that can take me back and help me to connect all the dots of my musical education. Frazier, who was born and raised in New York and started off singing gospel music "in his father's Baptist church," has deftly walked through the door opened by Frank Ocean, the Black Keys and perhaps even Sharon Jones, modern vanguards who have introduced old genres to a new audience. He navigates these six songs through a bright, sunny, '80s pair of shades with the ease of a seasoned vet who's already thinking about releasing a second box set. 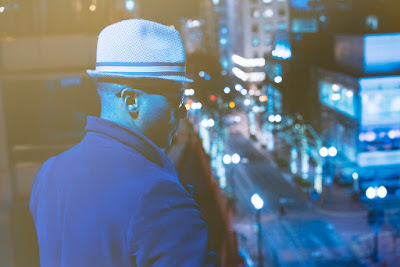 His soulful voice and his devotion to his very specialized and difficult genre sets him apart from his contemporaries who want to add too much 21st century to an '80s sound. Frazier is, perhaps, adding an '80s sound to classic Motown, and that's cool enough. His amazing backing band doesn't hide in the shadows, either. They are able to capture those bizarre synthesizer programmings and laid back beats with a confidence that matches that of their front man. Jeff Baxter on keyboards? Matt Brown on guitars? How about folk-rocker Ezra Holbrook, a personal favorite, on drums? In other words, when will they be playing in Colorado? I'm there. If there's a misstep on this album, it's the somewhat lo-fi approach to the production. It's not muffled and tinny in an attempt to recapture a classic R&B vibe, but it's sort of distorted and super sharp around the edges (although there is plenty of deep bass captured by our new Opera Seconda SE speakers). When the full-length debut album comes out from Redray, and it will be a great injustice if he doesn't follow this up immediately, I think he should make his songs sound as big and as dynamic and as sparkly as the best '80s pop albums. Have you listened to Thriller lately? It still sounds great more than thirty years later. I think Redray Frazier should go big, big as his vision. 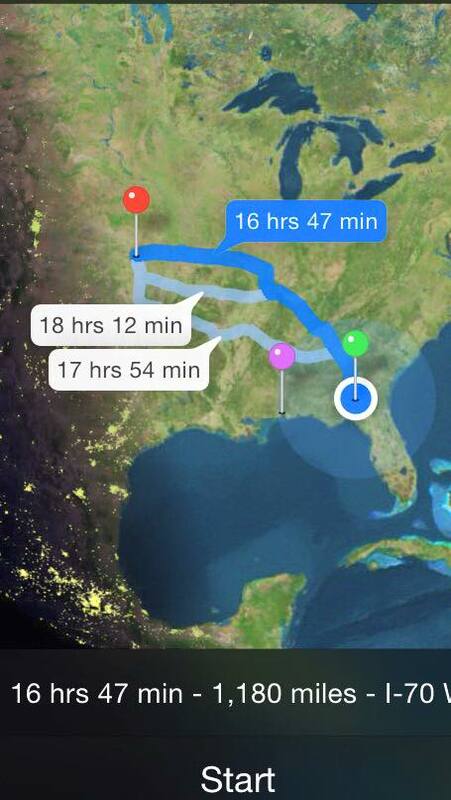 Seven days, thirteen states and four thousand miles. Our annual CCI summer trip, where Colleen and I intercept a large shipment from Italy at the US port of entry and then ship and/or deliver our products to dealers and customers at the nearest FedEx office, was by far our longest road trip yet. Last year we flew to Newark, New Jersey and rented a car so we could tour most of New England. This year we drove it all--from our home in Colorado we drove to Houston with a pair of our Opera Grand Callas loudspeakers (which weigh nearly 200 pounds a piece), dropped them off at a potential dealer in Houston, visited our dealer in Beaumont TX (Don Penland of Limpia Sound), then picked up the rest of our shipment in a bonded warehouse nearby and shipped everything out. Everything, that is, except for another pair of Opera Grand Callas for one of our customers in Fort Walton Beach, Florida. Then we heard from a close friend of ours in Jacksonville who was sick in the hospital and wanted us to visit. Then, after our visit, we drove all the way home. For those keeping score at home, that's Colorado, New Mexico, Texas, Louisiana, Mississippi, Alabama, Florida, Georgia, Tennessee, Kentucky, Illinois, Missouri and Kansas. And now I'm getting ready to fly to Australia for a few weeks. I'm already exhausted. 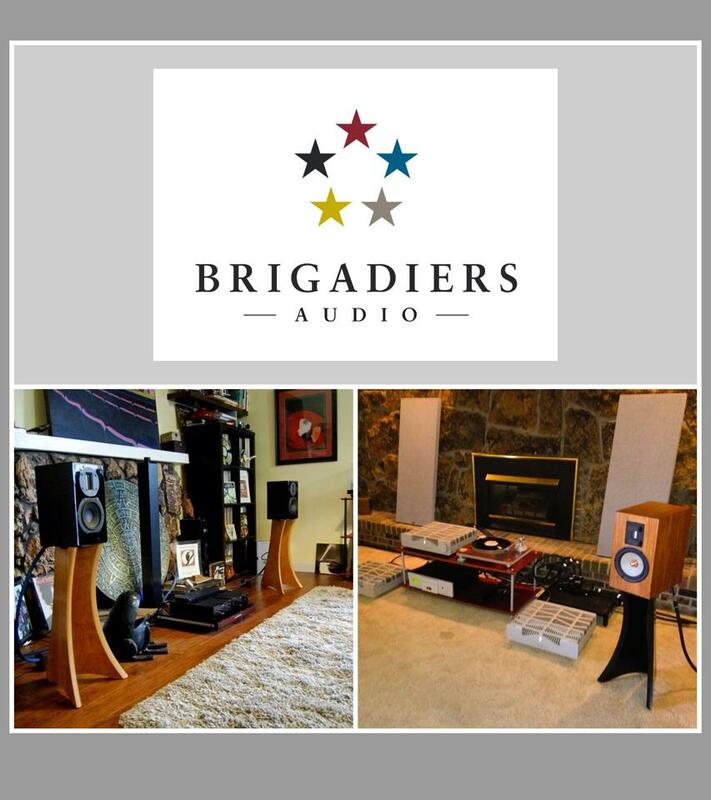 As many of our friends have already commented, why did we deliver a single pair of speakers all the way in Florida? Well, our customer Joe had been waiting quite some time for his beautiful, mahogany speakers and we wanted him to have them as quickly as possible. Joe is a lifetime audiophile who has several audiophile buddies who'd been giving him a hard time about waiting so long. In addition, Joe recently had hand surgery and was unsure if he could maneuver a 200 lb. behemoth into place without re-injuring himself. Despite an ominous, impending Florida thunderstorm, we were able to get the Grand Callas into his house without a problem. Joe's lovely wife made us spaghetti and meatballs for dinner, and after all was said and done it was definitely worth the trip to make this very special customer happy. Also, Joe's dealer is our good friend Dan Muzquiz of Blackbird Audio Gallery. We'd do anything for Dan--he's absolutely one of the most dedicated and knowledgeable dealers in the US. 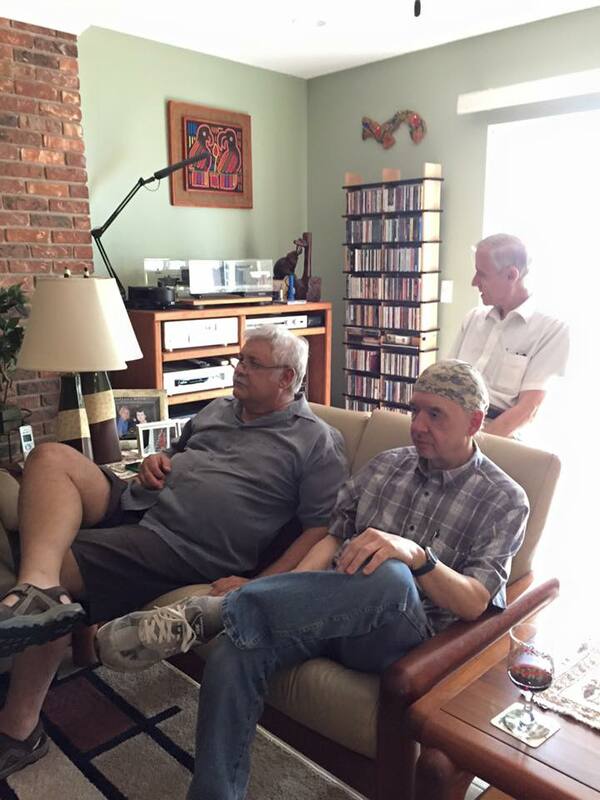 We did have one surprise when we arrived--Joe had invited two of his buddies over to watch the installation. These two gentlemen just happened to be Tom Norton of Stereophile, and Tom Tutay, who made a custom run of his highly regarded speaker cable for the Grand Callas. I'd never met either Tom before, but both of these gents were friendly, helpful and great company. Joe has quite the outstanding system consisting of Spectral amplification, and a J.A. Michell Orbe turntable very similar to the Orbe SE I owned for many years. 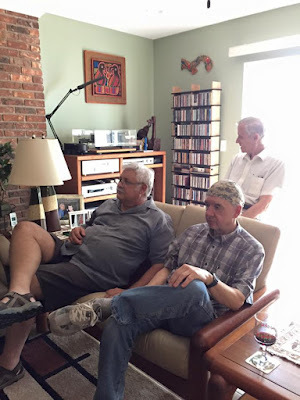 Once we had the speakers somewhat dialed in, we all sat and listened for a few hours. While the speakers had zero hours on them, which made me a little nervous, they snapped into focus after just a few musical selections. 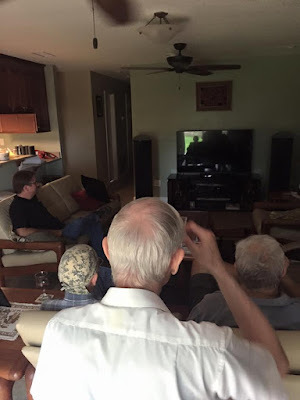 As I told Joe and his buddies, the Operas do get about 90% of the way there after about 48 hours, but they would continue to break in and sound better over weeks, even months. By the time we headed out to Jacksonville, the system was sounding really nice. Joe called us the next day and told us he absolutely loved his new purchase. This, of course, is my favorite part of the job. I obviously love to travel, and I hadn't been through the Deep South since the '80s. In fact, I hadn't been to Florida since 1987, when my first wife and I went to Orlando for our honeymoon. Despite the fact that Colleen and I were overwhelmed by the heat and humidity--we're used to the 15 to 20% humidity in Western Colorado--I enjoyed the scenery quite a bit. I love to travel, if you don't know--I live for doing trade shows or dealer events or anything that gets me away from this dang computer. We took a more northerly route on the way home just to switch up the drive, and I wound up in one of my favorite cities in the US--Chattanooga, Tennessee. 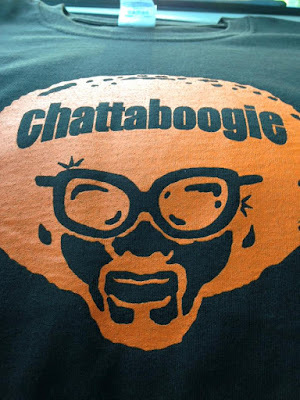 I spent some time in Chattanooga back in 1998 or so, where I found one of the greatest cigar stores I'd ever patronized. (Plus, Chattanooga gave me my first taste of Steak N Shake.) This time we had lunch in downtown 'Noog at the absolutely spectacular Beast & Barrel, and then checked out Chad's Records a few doors down. 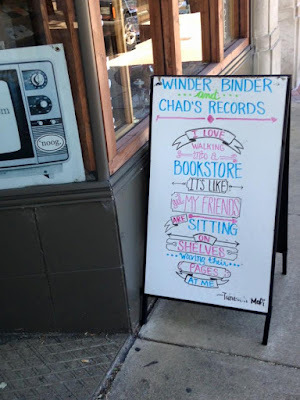 Chad's is a funky used record store with only a few new releases, and I didn't have the time to rummage through the bins, but the selection was extensive and eclectic and the prices seemed fair. Best of all, the store was filled with customers, including many students from the nearby University of Tennessee--Chattanooga. 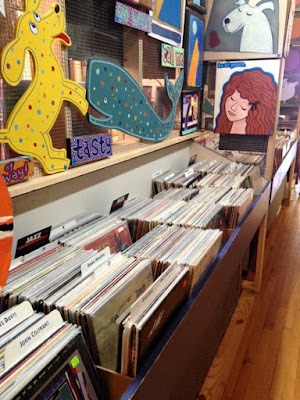 LPs continue to be the cool format for young people. 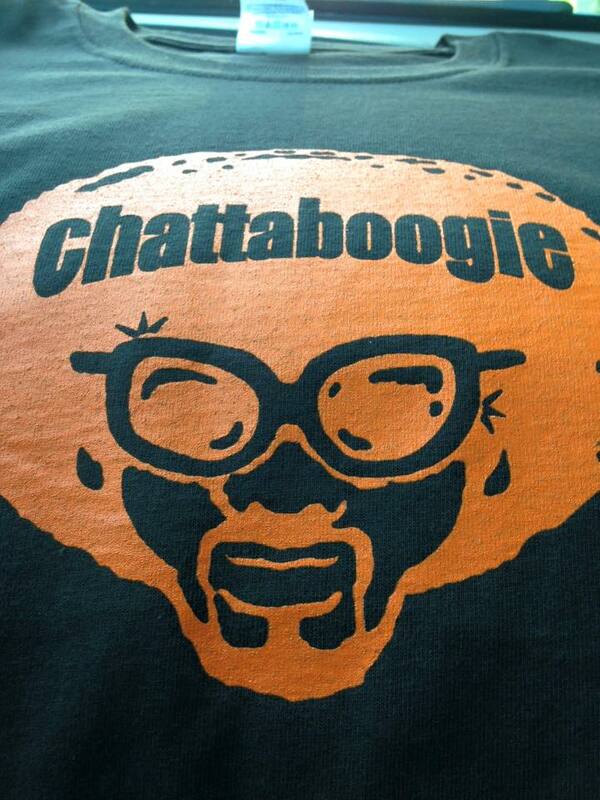 In addition to records, books and gifts, Chad's had some amazing Chattanooga-themed T-shirts on display. I had to get one, of course. Colleen hated this shirt, but I absolutely fell in love with it. I've only been home a few days, but I've already worn it twice. It's my new favorite T-shirt. Finally, we almost didn't make it home. See these storm clouds outside of Oakley, Kansas? We drove through the middle of it. 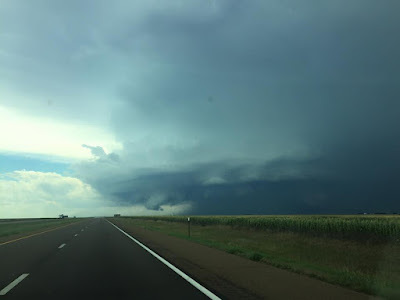 Now I've driven in all sorts of crazy weather, but this storm was unbelievable. We hit a wall of rain and hail that had me pulling completely over to the side of the road within a few hundred yards. For a good twenty minutes we were pelted with quarter-sized hail which sounded like someone was throwing rocks at our windshield. Our company vehicle is now dimpled from end to end. Despite that somewhat scary development, we made it home in one piece. I brought in some new equipment, and my home system is going through the usual bi-monthly changes. I've added one of our entry-level Unison Research Unico Primos, the direct descendant of the original Unico that had Sam Tellig raving more than twenty years ago. 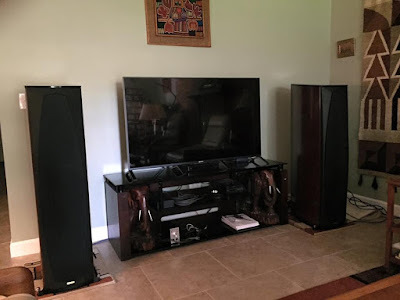 I'm also installing a pair of the brand spanking new Opera Seconda SE speakers later this week. I have a lot of record reviews in the coming days--I want to be completely caught up by the time I leave for Sydney. So there should be some heavy blogging over the next two weeks!